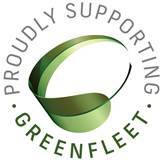 Greenfleet – an environmental not-for-profit organisation whose mission is to protect our climate by restoring our forests. They plant biodiverse, native forests to offset carbon emissions on behalf of thousands of individuals, businesses, NGOs, councils and universities around Australia. Greenfleet is Australia’s most respected source of biodiverse carbon offsets. The Hub has financially supported the program since 2002.
organization focused on creating the Political Will to implement national policies to address climate change for a Livable World. Hands Across Canberra – a new approach to philanthropy and giving in Canberra. Hands Across Canberra is a group of community, business and government leaders committed to improving the lives of the most vulnerable people in our community. It is intended to create a framework for all Canberrans to engage in an ongoing process to improve and strengthen the quality of life for those most disadvantaged in the place we live. Oncology Massage Limited – Oncology Massage Limited is a nationally and internationally recognised not for profit training charity. It is dedicated to training fully qualified massage and Bowen therapists to treat those with a diagnosis or history of cancer effectively and safely. It aims to ensure national benchmarks and standards of care are met by its therapists. The four module program is based on a program that had previously been running in the United States. RESULTS International (Australia) – RESULTS is a movement of passionate, committed everyday people. Together they use their voices to influence political decisions that will bring an end to poverty.